Construction is done in three stages: boring, digging and housing. ​Site selection for bi-tech wells is time-consuming because the site is selected following certain carefully designed protocols. This takes three to four weeks and is done in batches, with twenty wells completed per month. 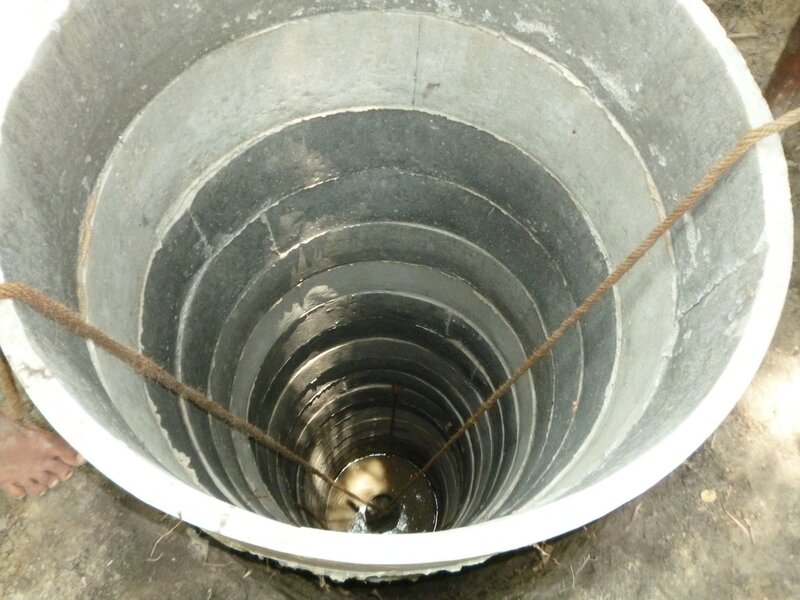 The wells are constructed by several teams of laborers who are very efficiently coordinated. Boring is done manually. 10-foot perforated PVC pipe is inserted first, followed by digging around the pipe. The dugwell portion is excavated after boring and inserting the 10-foot-long pipe. The excavation of 15 feet is done carefully around the drilling pipe that is removed at the end. The 18 inch-bore is drilled to insert the 10 inch-diameter, 10-foot long pipe. One by one, the 3.3-foot diameter concrete rings are layered on top of one another, adhered using cement (mortar). 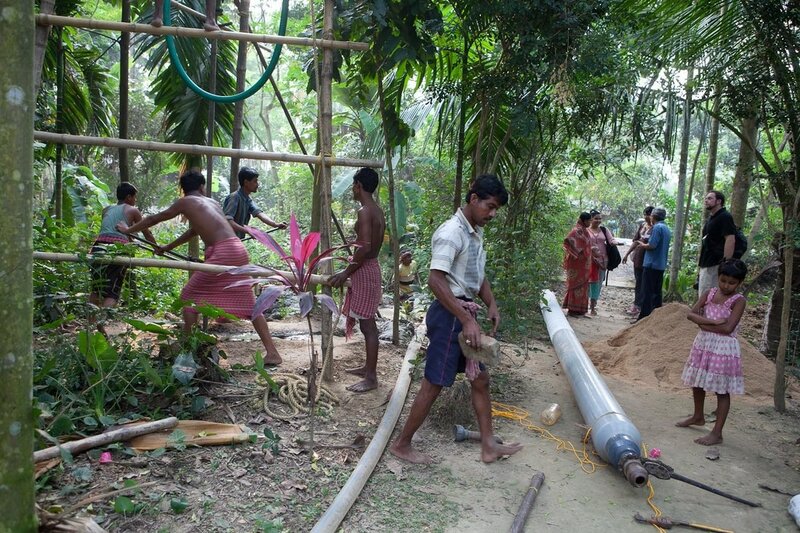 The end product - a bi-tech well that the community can use after the water is treated with a chlorine-based disinfectant and the water is tested and found to be within permissible arsenic limits.